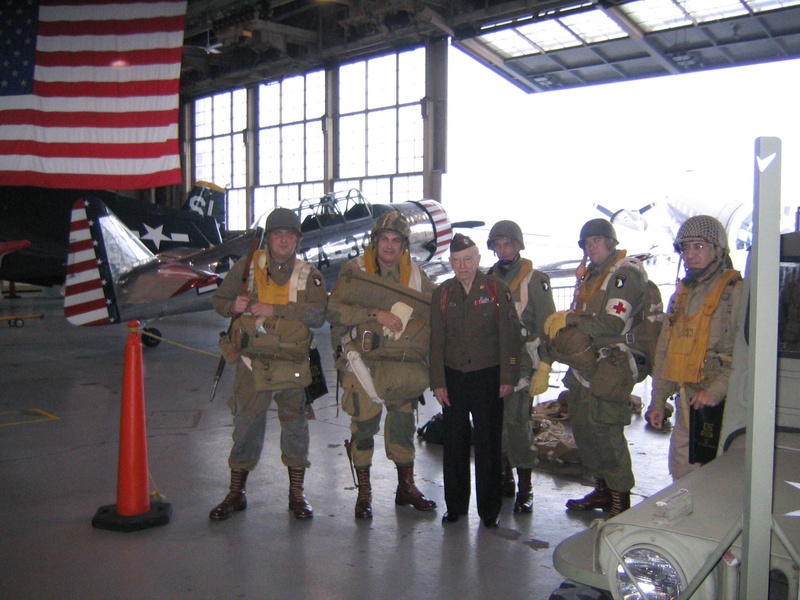 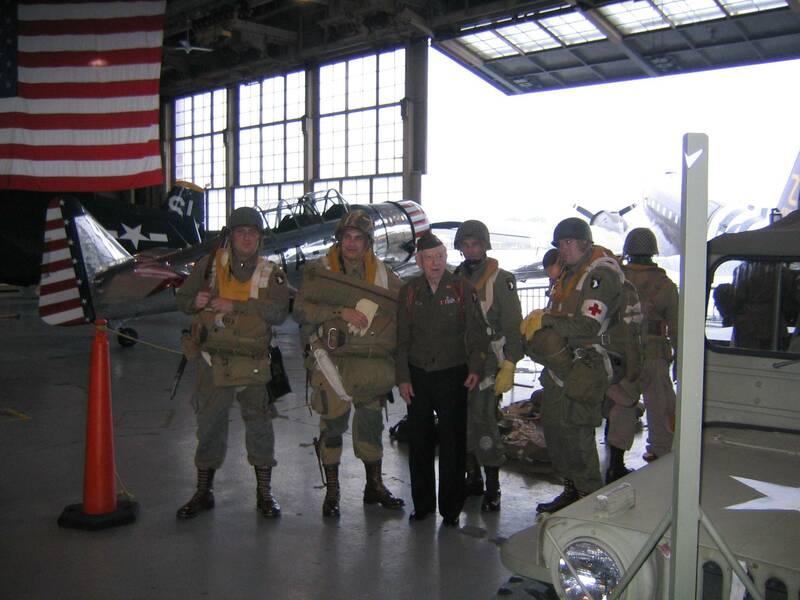 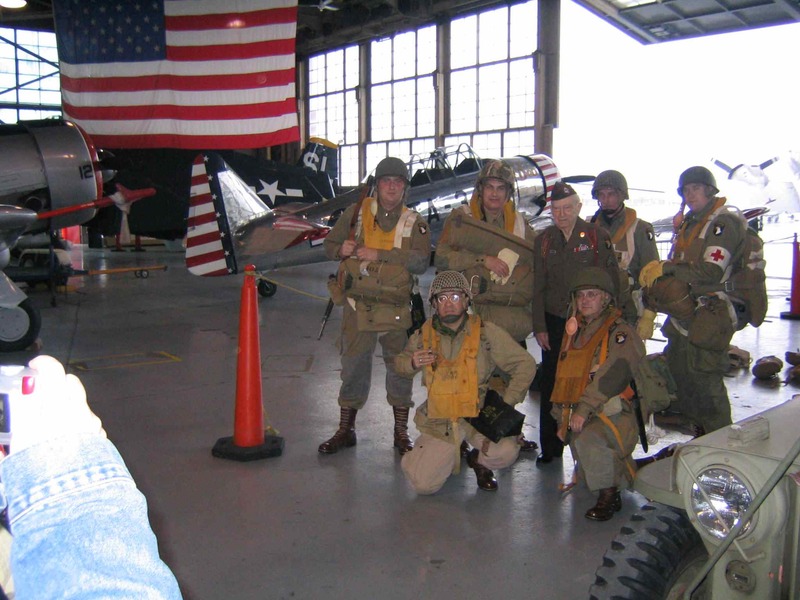 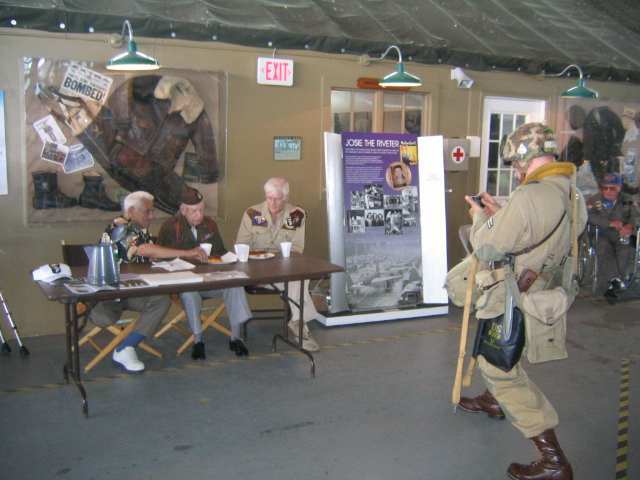 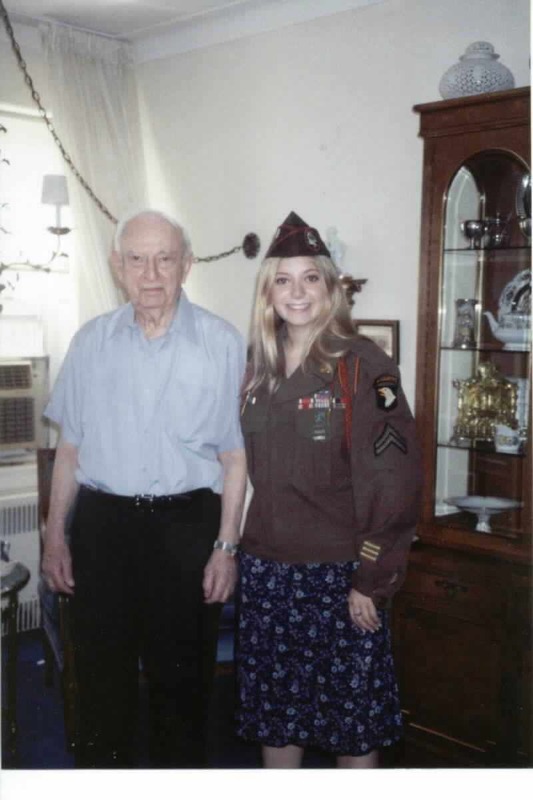 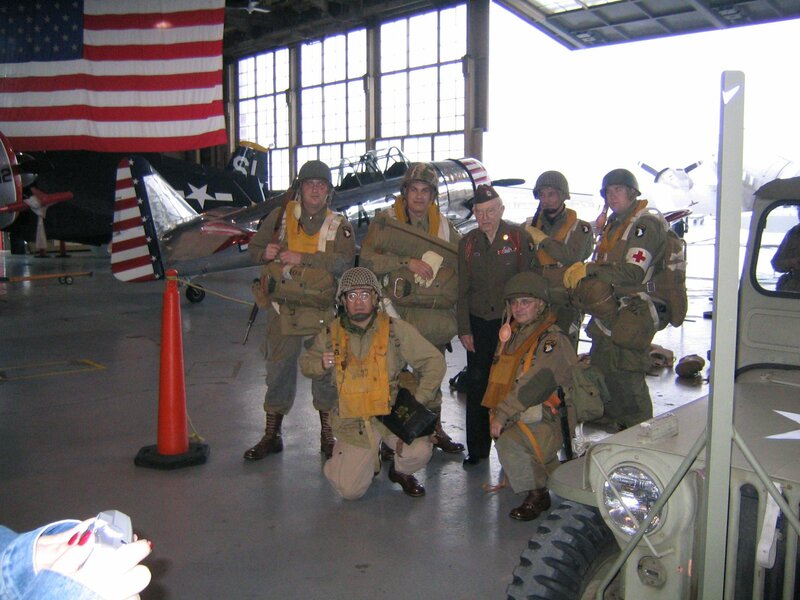 JULY 4, 2004 at AIR POWER MUSEUM LONG ISLAND NY"
Veteran Trooper Sandy Schwaber poses for a photo with Capt. 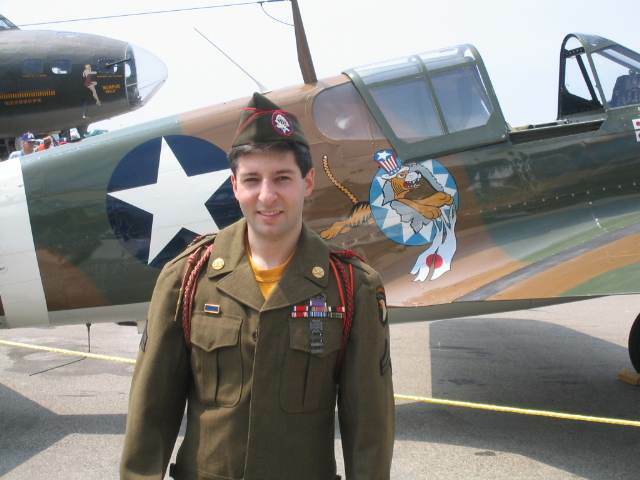 Mike Glick, Pfc. 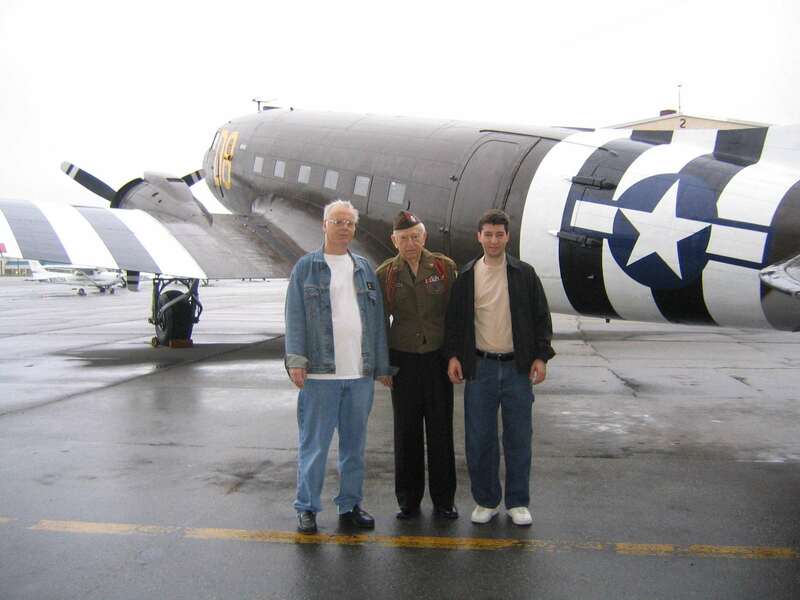 Jim Lennon, Lt. Jim Michaud & Pvt. 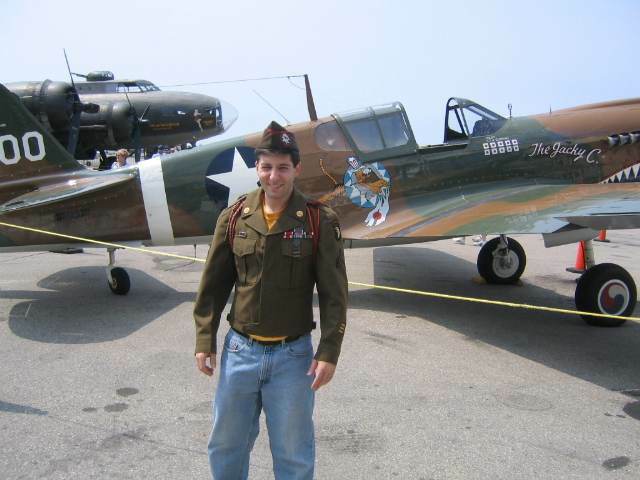 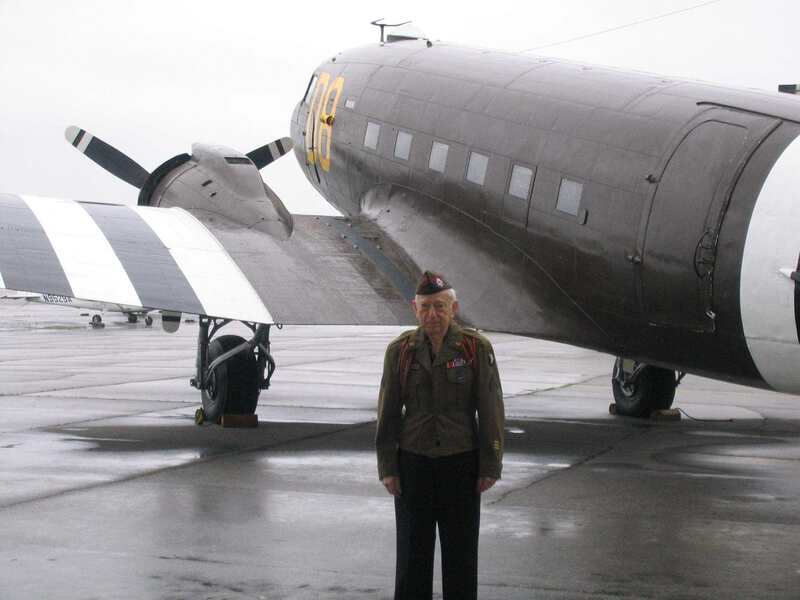 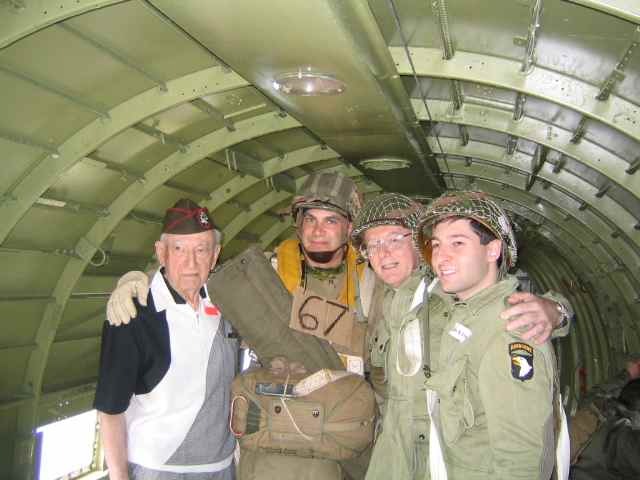 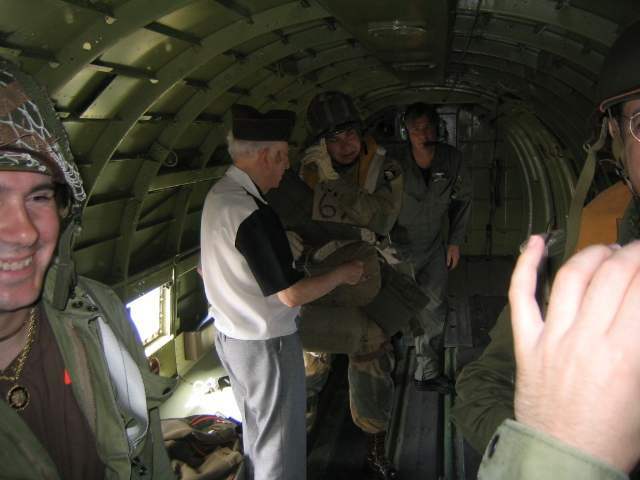 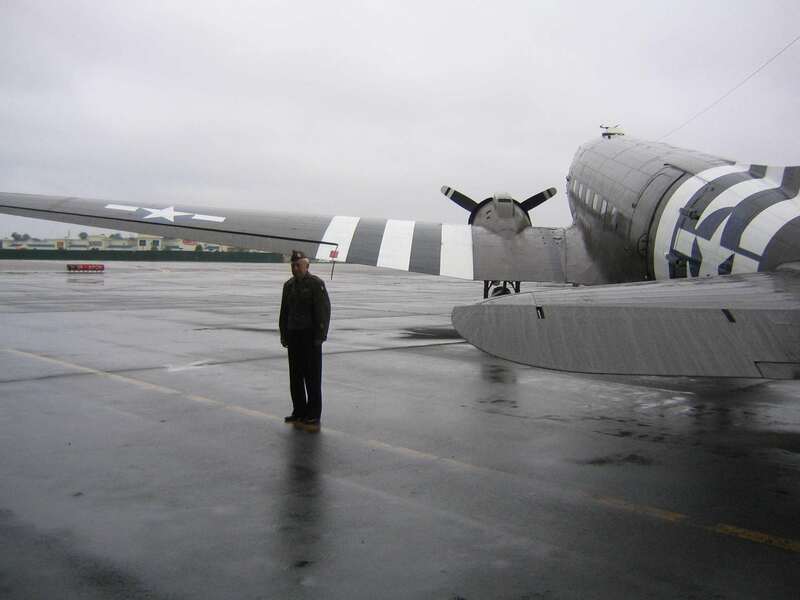 Ryan Michaud after completing a C-47 flight. 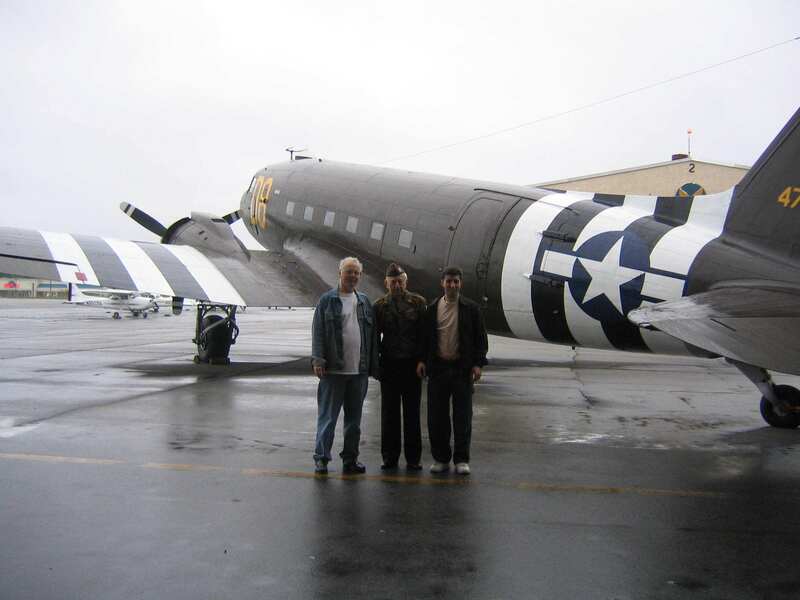 Sixty years later, veterans Bill Guarnere, Sandy Schwaber and Jack Agnew take a few moments to recall a few memories of their shared experiences. 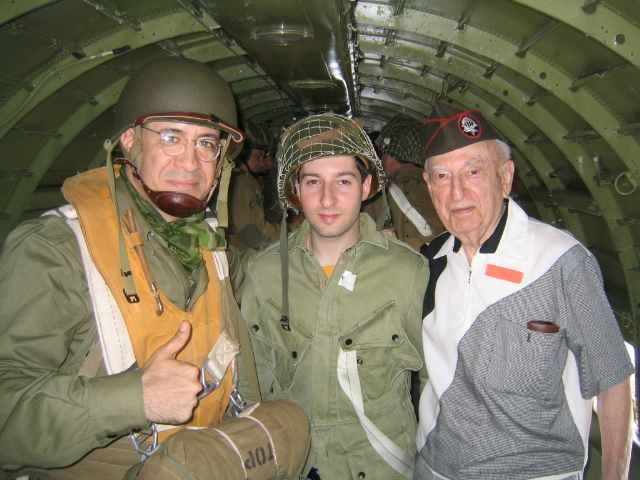 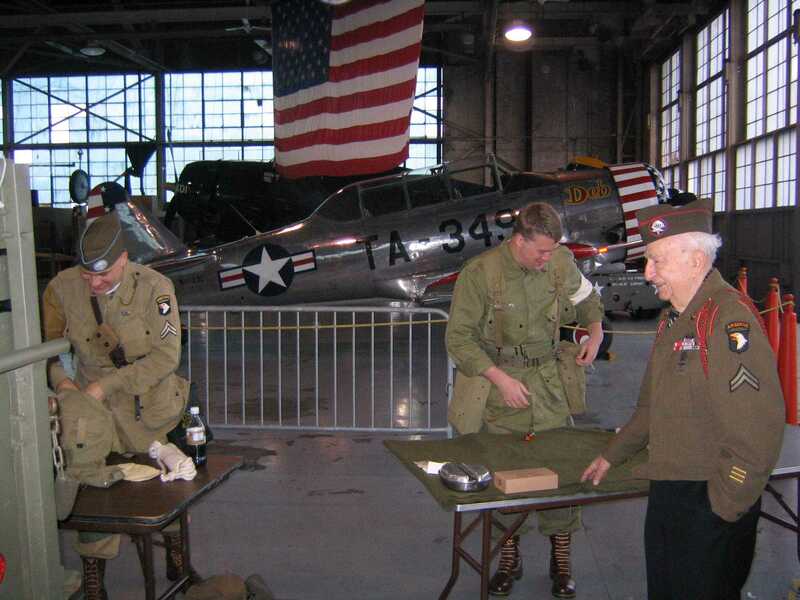 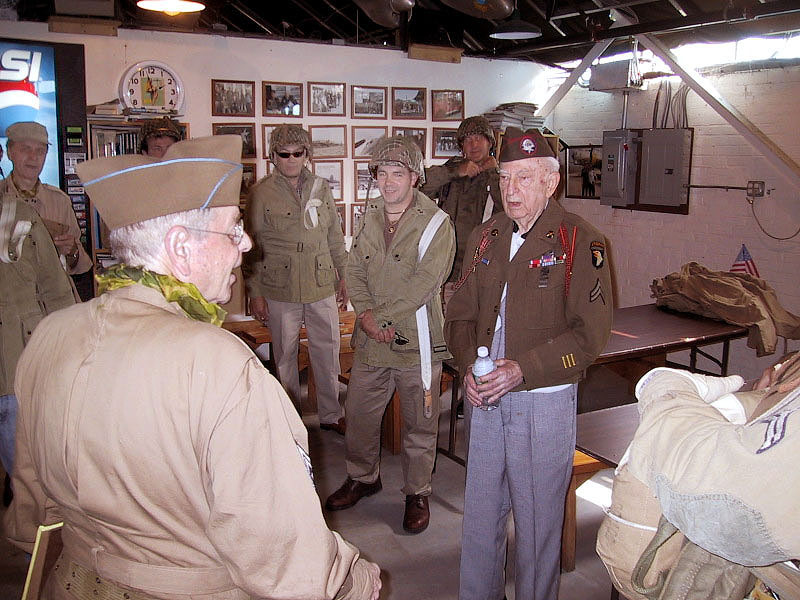 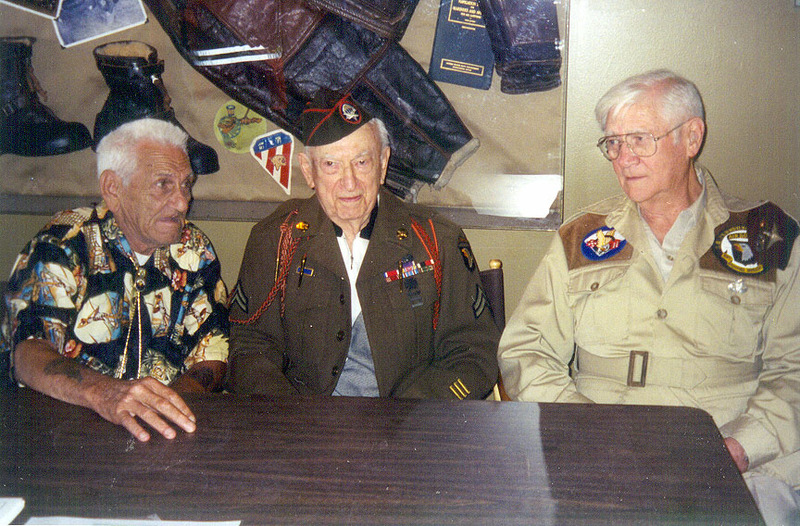 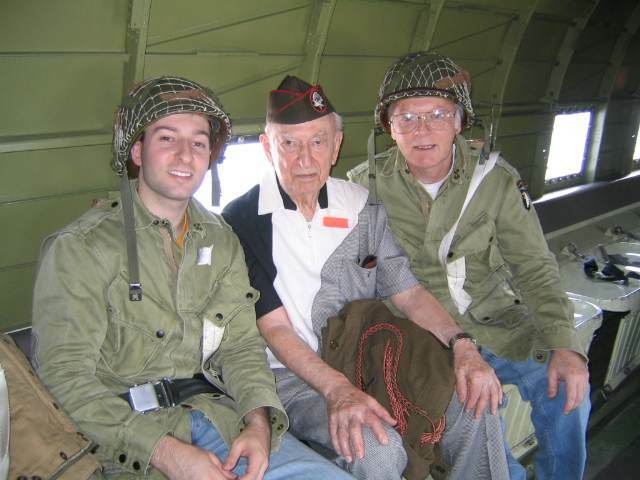 All three saw action in Normandy during the D-Day invasion and later in Holland in support of Operation Market Garden. 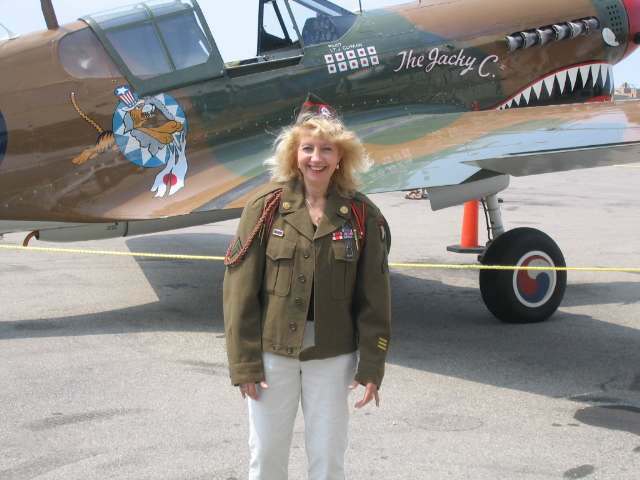 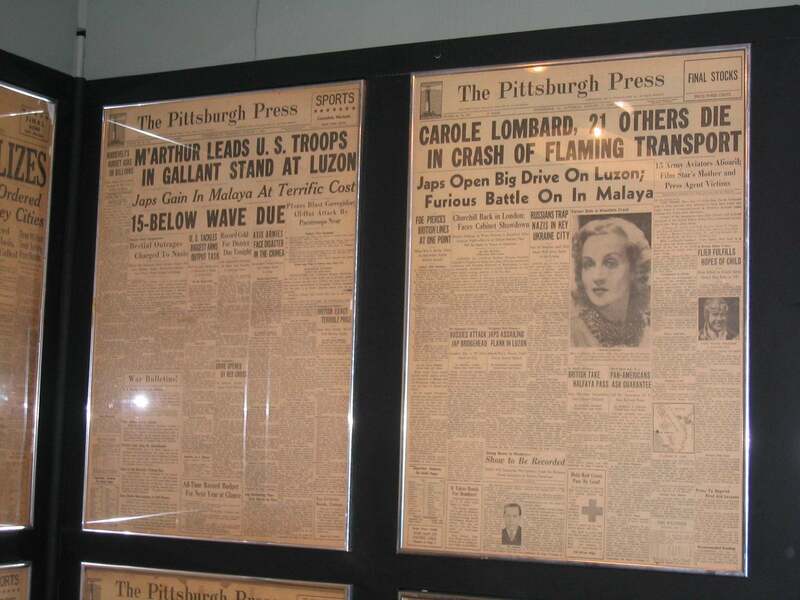 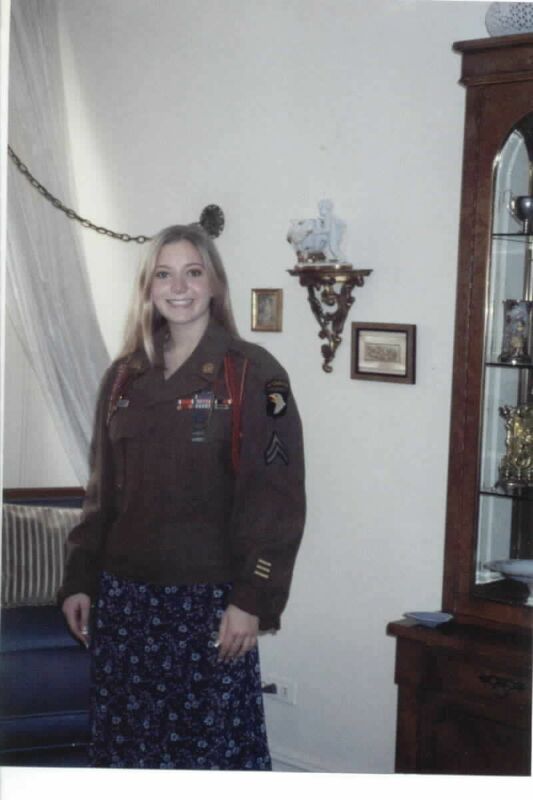 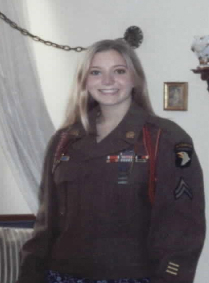 Sandy Schwaber was in E Battery 81st AA/AT BN 101st Airborne Division. 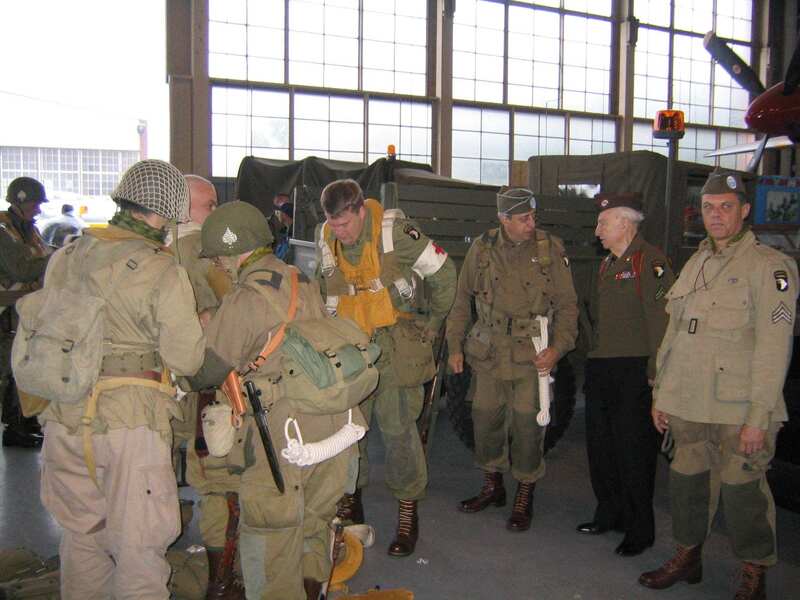 Sgt Mark Dubno begins equipment indoctrination for museum visitors who will soon share the airborne experience. 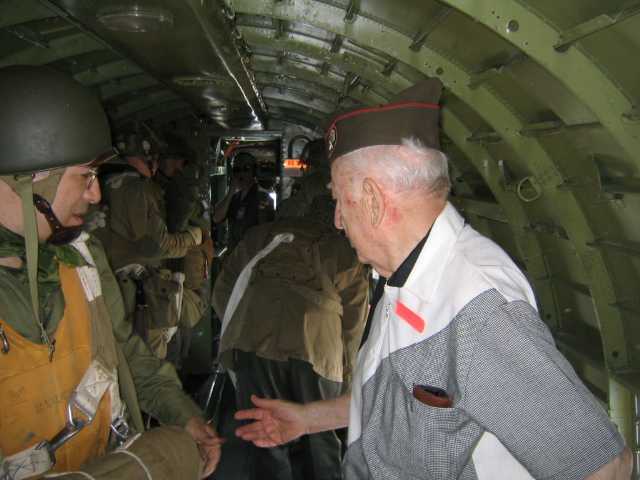 Included in the "stick" of paratroopers is veteran Trooper Cpl. 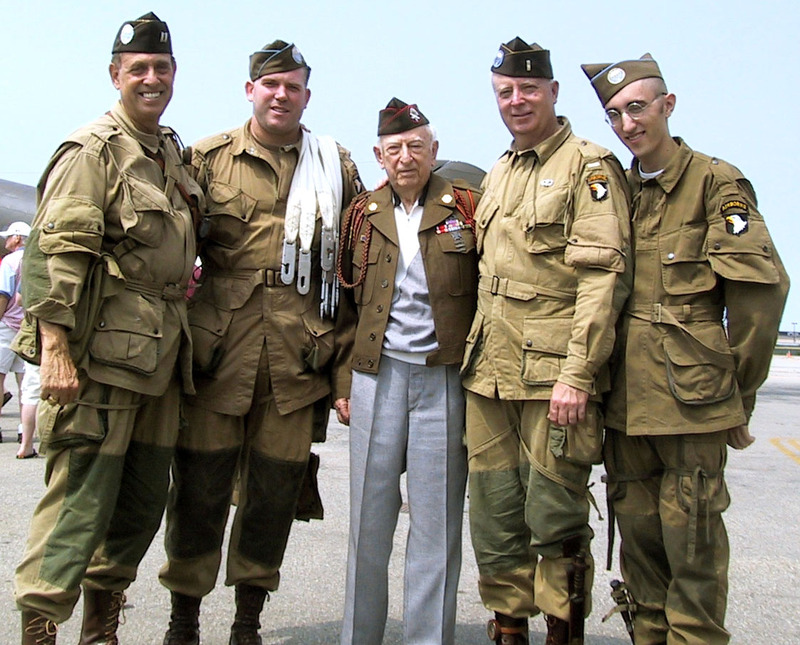 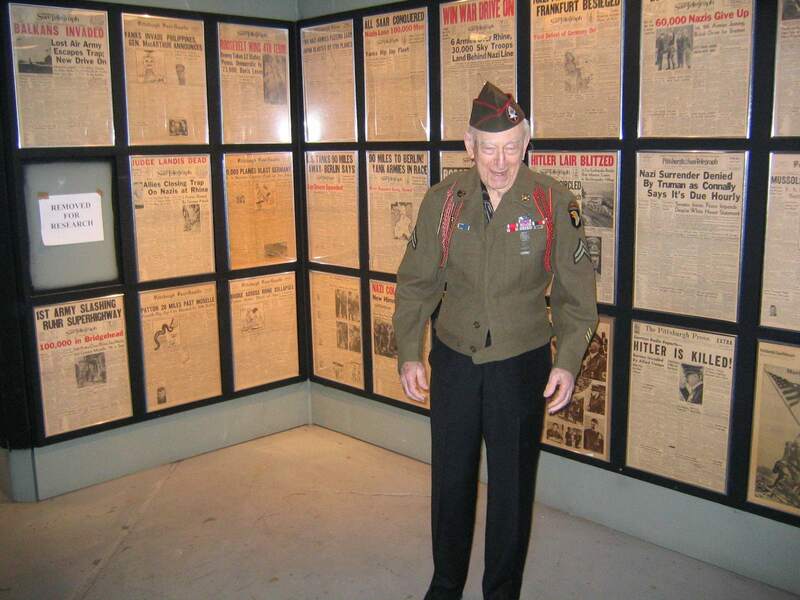 Sanford Schwaber, a "Glider Rider" who saw combat in Normandy and Holland in support of Operation's Overlord and Market Garden.